Sometimes I feel a little down and I want to ask the Internet for hugs, but I don’t feel like my circumstances are dire enough to warrant asking for a hug. I created this form letter to make it easier for me and you. Please feel free to print out (I didn’t color Bunson, so it would be easier to print), or digitally send to people. 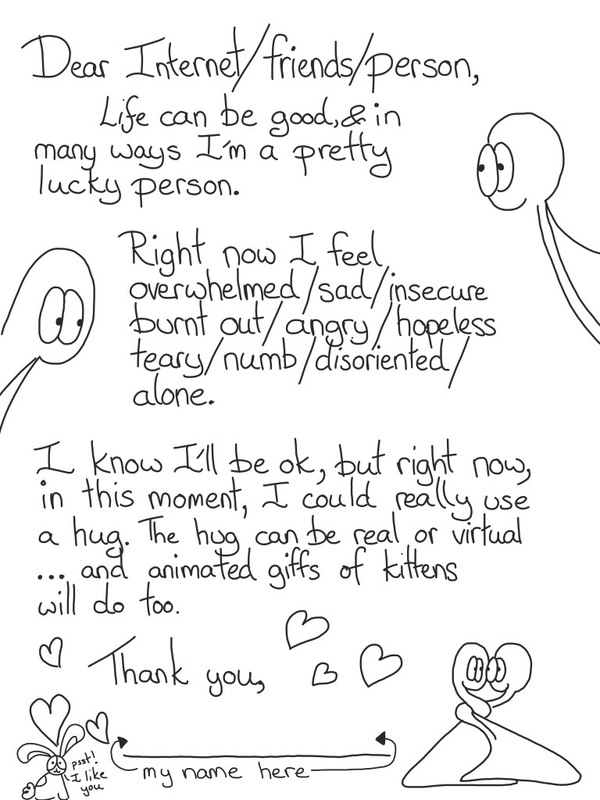 If you think someone needs hugs, you are welcome to send them a black and white hugging comic. Or a full color hug with Things, Bunson and Boot.